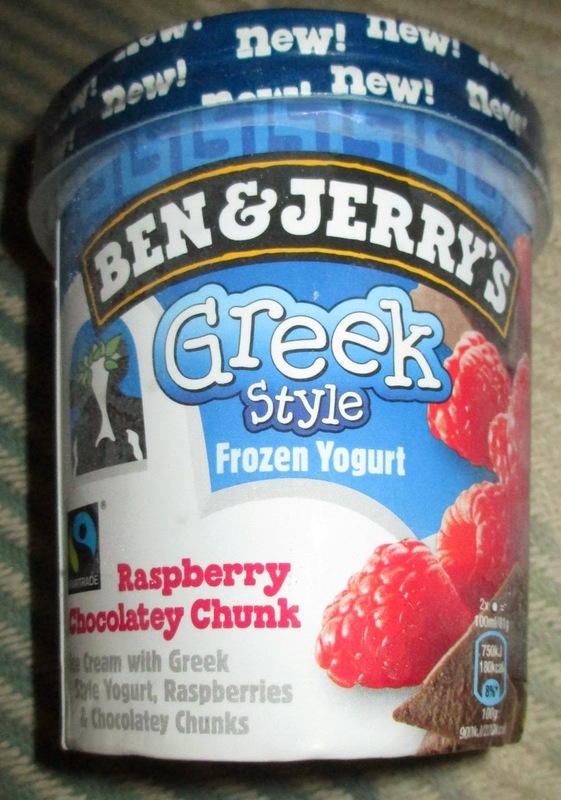 I was actually in the ice cream section of Sainsbury’s looking for some of the new Core flavours from Ben & Jerrys, which I couldn’t find, but my eyes spotted the neat New label on this Greek Style Frozen Yoghurt. The flavour was raspberry and chocolate, with a promise of proper chunks of chocolate which sounded rather good. Obviously when it came to opening the tub the battle began. The plastic seal around the tub had no perforations to allow me to tear into it. I tried and tried to rip it by hand, and my nails are quite good, but it wouldn’t give. I went and got the scissors but even with them I struggled as it was on so tight I couldn’t get the point of the scissors under the plastic very easily to work my way in. After a struggle I finally reigned victorious and got the lid off. This little delay meant that the ice cream was soft enough to scoop when it was opened. Well played Ben and Jerry’s a clever solution to selling ice cream that isn’t soft scoop. I do find a lot of Ben and Jerry’s quite solid and difficult to get out of the tub if it is fresh from the freezer. 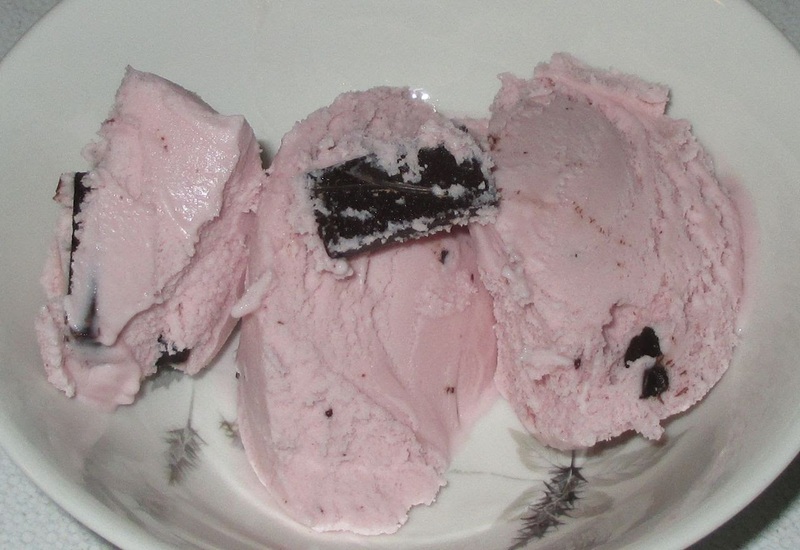 The ice cream was a pale pink in colour, and it became apparent very quickly that the chocolate chunks really were proper chunks, they were huge, almost like pieces from a bar! The flavour was super tasty too. The raspberry was delicate, but still fruity. The greek yoghurt added a nice hint of sour, but a fresh flavour, with a creamy aftertaste. The berry’s stood their ground and it became reminiscent of a bowl of fresh raspberries with a spoon of greek yoghurt on top. The chocolate added another dimension, and were an absolute treat when you had one on your spoon. This was a full on chocolate hit, which mixed up the texture but also delivered a fab strong cocoa flavour, which was like magic. Did I mention the chunks were proper chunks? I may not have been able to find the new Core flavours from Ben & Jerry’s but one thing is for sure with the Greek one being this good I’m going back to see there are any other flavours in that range. I just need to find a strategy to allow me to get into the packaging! The honey/caramel version is hands down the best ever. Strawberry shortcake also hits the spot nicely. ahh I am OBSESSED with this flavour!! Ive gone to extreme lengths now and purchasing it from the cinema and then going home to enjoy it haha!